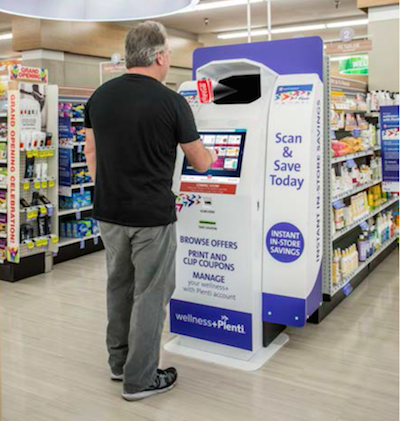 CHATSWORTH, Calif. — Procter & Gamble Co. has launched a national promotional campaign for its Pantene hair care brand on Provision 3D Savings Center kiosks. A Provision 3-D kiosk at a Rite Aid store. Provision Interactive Technologies Inc. said the campaign will provide consumers with in-store Pantene coupons via its kiosks, which feature unique 3-D holographic technology, in retail locations nationwide. The 3D Saving Center units grab shoppers’ attention by projecting three-dimensional, holographic videos in front of their screen. Customers see the images without needing any special glasses and without any discomforting eye stress, Provision said. Each kiosk also has a two-dimensional, interactive touchscreen that gives consumers access to promotions, rewards and coupons. Provision added that the kiosks can print coupon offers, enabling the retailer and other advertisers to offer customers highly effective sales influencers at the point of purchase. The company said Pantene is highlighting its new “breakthrough” conditioner technology that delivers “superior conditioning without weight,” addressing a key consumer trial barrier in the category.